During a year when Indian Cinema is celebrating 100 years since the first moving picture was made, the writers of BollySpice have decided to put together a feature series which pays tribute to this phenomenal and charismatic industry. Titled ‘Framing Movies’, this special series during the course of 2013 will chronicle and assess some of the greatest and most significant films that Hindi Cinema has ever produced during its 100 year history. They will attempt to persuade film lovers across the world why specific films deserve recognition, why you should watch them if you have never encountered them before, as well as why they deserve to be remembered for another 100 years. Whether it is Raja Harishchandra (1913), Mother India (1957) or Dilwale Dulhania Le Jayenge (1995), these feature articles will illustrate the best of Hindi cinema. This series will ONLY explore Hindi cinema in the last 100 years and we acknowledge that by no means is the series encompassing the best of all of Indian cinema because India is so wonderful that its cinema is so extensive and widespread. Having acknowledged that, over the past 100 years we have been treated to a range of brilliantly crafted films and we want to shine the spotlight on some of the most notable Hindi films in this fabulous canon. Therefore, it gives BollySpice great pleasure to officially launch Framing Movies. We hope that you will be inspired to strengthen your love for Indian Cinema as a direct result of this feature series. 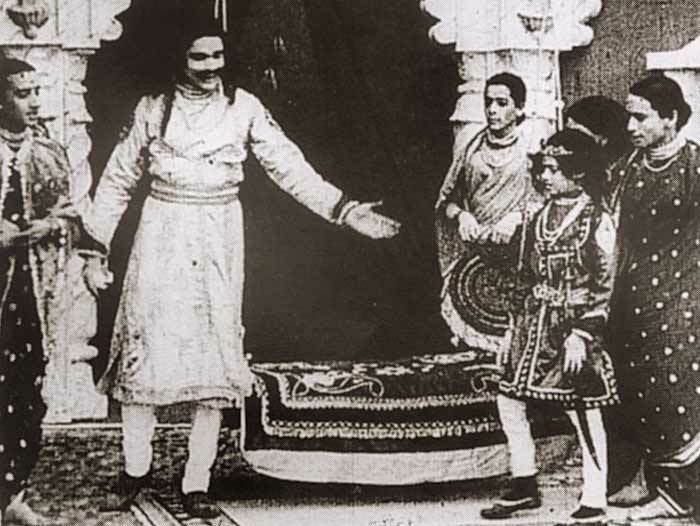 We begin with the film that began it all Raja Harishchandra, which had its grand premiere on April 21st, 1913. D.G. 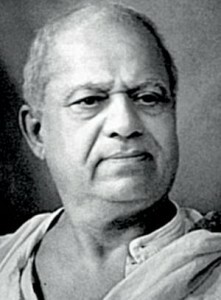 Phalke – also known as Dadasaheb Phalke – is commonly regarded as having almost single-handedly created the foundations for what would become the Indian Film Industry. Phalke’s career path was quirky and eclectic. He was schooled at both the Sir J.J. School of Arts in Bombay and Kala Bhavan in Baroda, studying engineering, drawing, sculpture, photography and painting. At various times he worked as a draftsman (a profession he found not to his liking, not surprising given his artistic and imaginative bent), a photographer, a printer and a magician (training under Carl Hertz, one of the magicians sent around the world by the Lumiere Brothers). But it was a screening of a film on the Life of Christ that ignited Phalke’s passion for the relatively new medium of cinema. Phalke and his family (and this was, truly, a family affair: Phalke’s children appear in several of his films, and his wife Saraswati was not only a support for her husband, she also learned how to develop and perforate film stock) set up Phalke Films Company in 1912 by taking a loan against his insurance policy. Equipment was imported from England, and Phalke himself went to England to train at Walton Studios under Cecil Hepworth (one of the founders of the British Film Industry). The ever inventive Phalke raised finances by shooting a short film, Birth of a Pea Plant. By shooting one frame a day, the resulting film showed the plant growing almost miraculously before the viewer’s eyes. 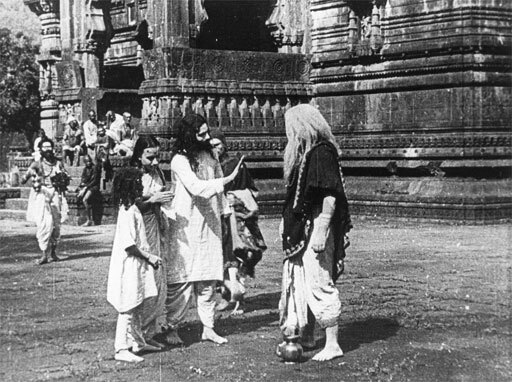 It was Indian stories though that fueled Phalke’s desire to make films – and it was Phalke’s early films that introduced the idea of the “mythological” to Indian cinema, starting with Raja Harishchandra (a story from the Mahabharata), generally considered to be India’s first feature film production. The film premiered on the 21st of April 1913 and was released on May 3rd 1913. The story revolves around Harishchandra, known to be devoted to the truth, so much so that he hands over his kingdom to the sage Vishwamitra in order to keep his word, going into exile with his wife Taramati and his son Rohidas. Harishchandra is separated from his wife and son when, in order to pay the dakshina the sage insists is part of the deal, he sells them off. Eventually he becomes an attendent at a cremation ground, where one day he is asked to preside over the cremation of his son (whom he doesn’t recognize). Lord Shiva appears and, moved by Harishchandra’s devotion and honesty, brings his son back to life and offers his family a place in heaven. Sadly, only two of the film’s original four reels – the first and the last — have survived, and apparently recent research shows that the two reels held by the National Film Archive of India may, in fact, be from a version that was either re-shot or re-edited in 1917. Nevertheless, they are a testament to the creativity, perseverance and above all the passion of a great filmmaker. As part of the celebration of 100 years of Indian Cinema, the National Film Archive of India has recently released a DVD of silent movies which include one Bengali silent film (Jamai Babu by Kalipada Das, the only surviving Bengali silent film), and two of Phalke’s films: the surviving reels of Raja Harishchandra and the marvellous Kaliya Mardan from 1919 (which features Phalke’s daughter Mandakini in the role of a very mischevious Krishna). Also highly recommended is Paresh Mokashi’s charming and delightful 2009 Marathi film, Harishchandrachi Factory, which details the creation of Phalke’s first feature film. Raja Harishchandra will forever be remembered as the film which kick-started the ground-breaking movement of Indian Cinema, which is now one of the most revered industries in the world today. Stay tuned for more from our Framing Movies series we have 100 years and many many fabulous film to highlight! 16 queries in 0.354 seconds.